Do you need help with your computer, smartphone, or other digital device? If you don’t know a teenager, Yellow Springs Community Library can be the next best thing. Make an appointment for “Tech Tutoring” and a library staff member will set aside time to work with you one-on-one. 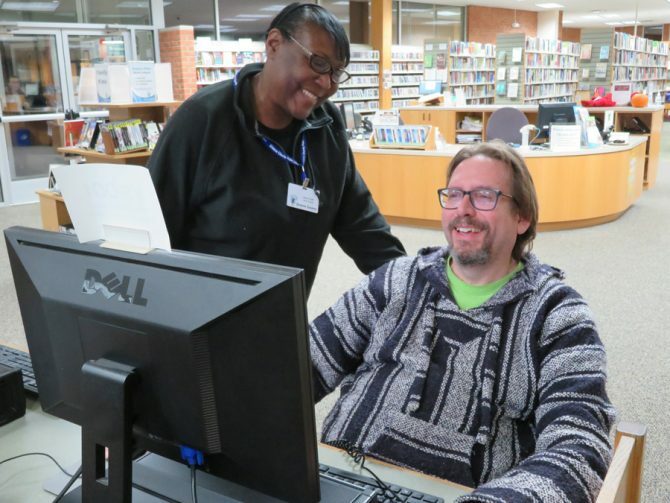 We can help with basic tasks like logging on to library computers, setting up an e-mail account, searching for information, or filling out an online form. We can also help you use your device to access the library’s many online offerings: ebooks, digital audiobooks, music, movies and classes. Often we can even help with a laptop or other device that just isn’t cooperating. To make an appointment, phone the library or stop by the desk. When you set up your appointment, let us know what you’re trying to figure out so we can prepare. We may be just one small step ahead of you, but we’ll try to help you resolve the issue.